Do you need a good â€˜ol kick in the pants when it comes to getting motivated? 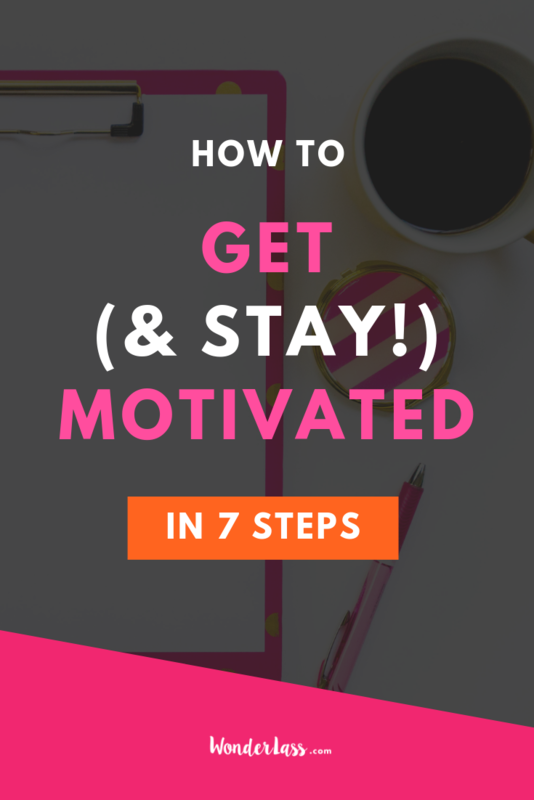 In this short + actionable episode, Iâ€™m gonna talk about how you can GET (and STAY) motivated in 7 simple steps. Because yo â€¦ as a business owner, youâ€™re gonna have those days where you donâ€™t feel like doing DIDDLY SQUAT. And when youâ€™re your own boss, it can be EXTREMELY hard to fight the urge to plop down on the couch and binge watch Netflix all day long!